One of the most common things I hear from CS:GO players is that they have no intention of playing Competitive mode. For a variety of reasons, too: it's intimidating, it's unfamiliar, and it's a 45-minute commitment to being judged by strangers, potentially. 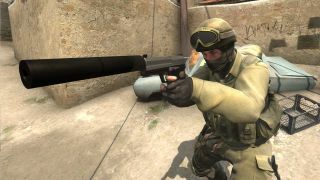 But it's also the best way to play CS:GO—if you've been reading along, you already know. I wanted to create a guide to getting into competitive play, but I decided that doing real-time coaching for a Competitive virgin might be an interesting. I grabbed GamesRadar's Lucas Sullivan, whispering sweet tactical nothings in his ear throughout his first match. What we recorded, I hope, represents a collection of some of the adjustments in mindset, positioning, and behaviors that players need to make when transitioning to competitive play.